How many poles can I run on a Spider Rig? How do I use a bobber rig? 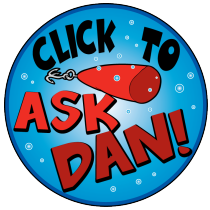 Posted by Dan Eggertsen on May 24, 2007 · Comments Off on How do I use a bobber rig? I’ve been told that a bobber rig is an excellent choice for teaching kids how to fish for crappie. What is a bobber rig and how do I set one up?